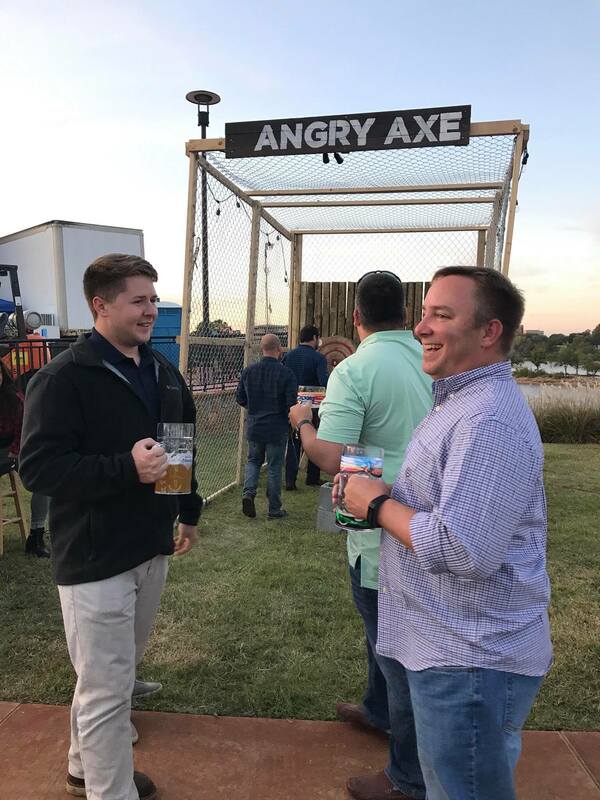 Do you want to try something new for your next corporate, bachelor/ette, birthday, or even team building event? 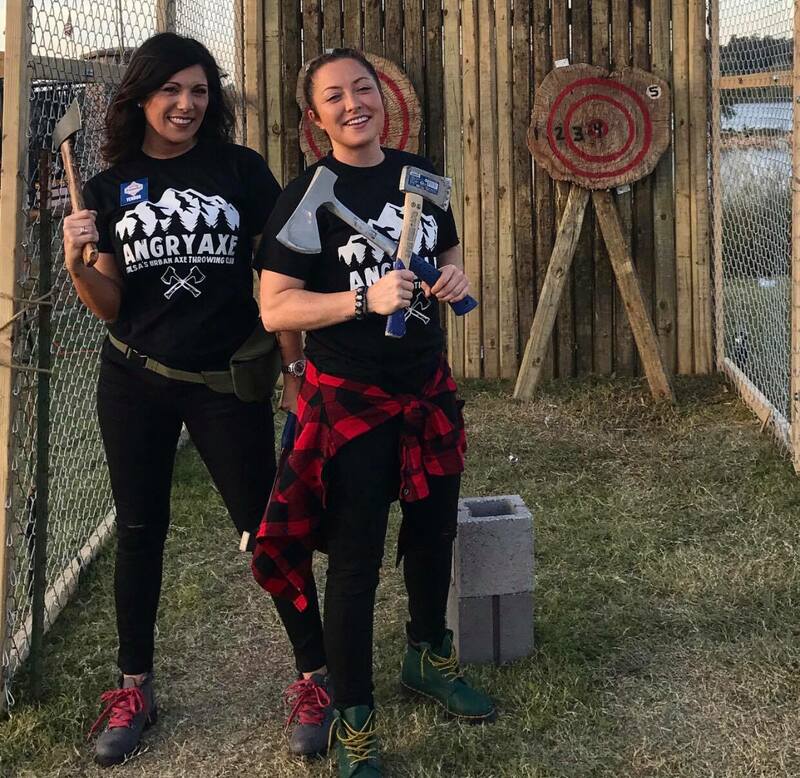 If there is anything that can bring together a crew of people, its axe throwing. 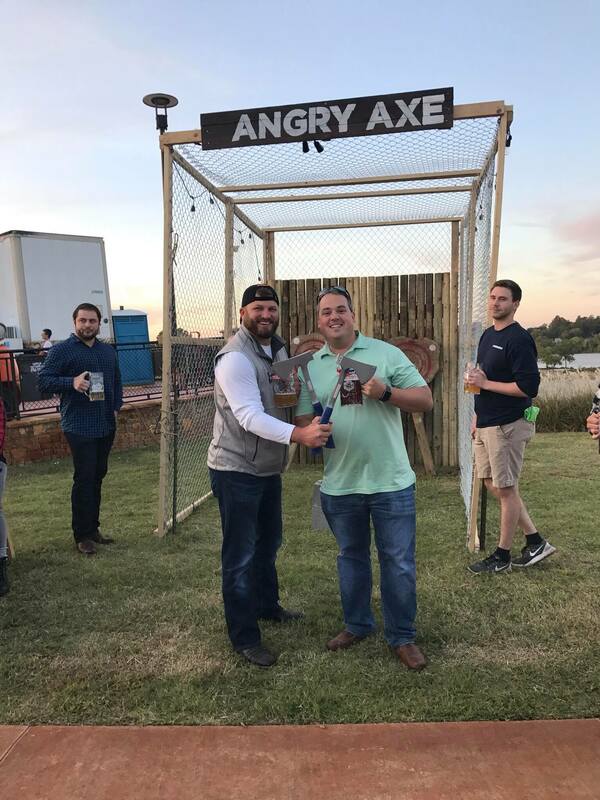 Angry Axe is the solution you have been looking for. We provide the space, the games, the coaches, and the fun. Say no to the ordinary and book your event today! We can accomodate any time throughout the week for a private party not just our lane rental time slots! 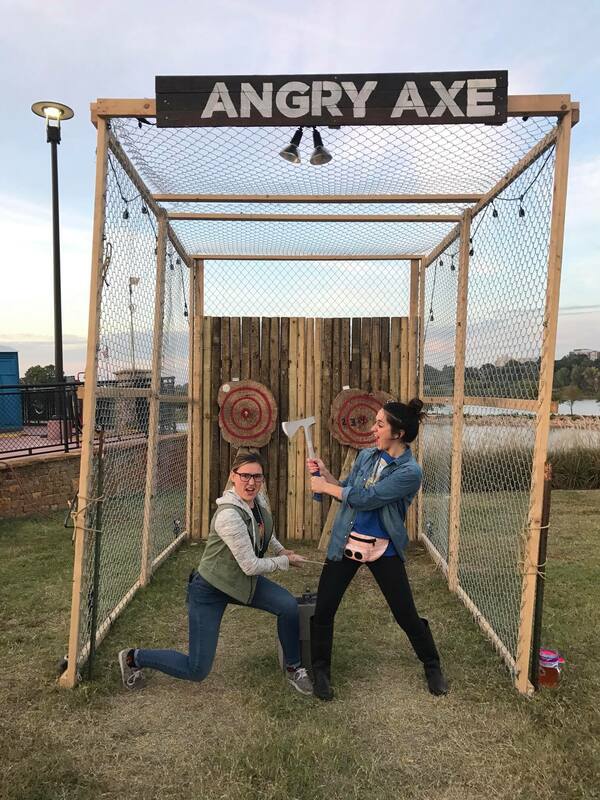 Got a small group ready to take on some axe throwing? This is the perfect option for you & your friends! 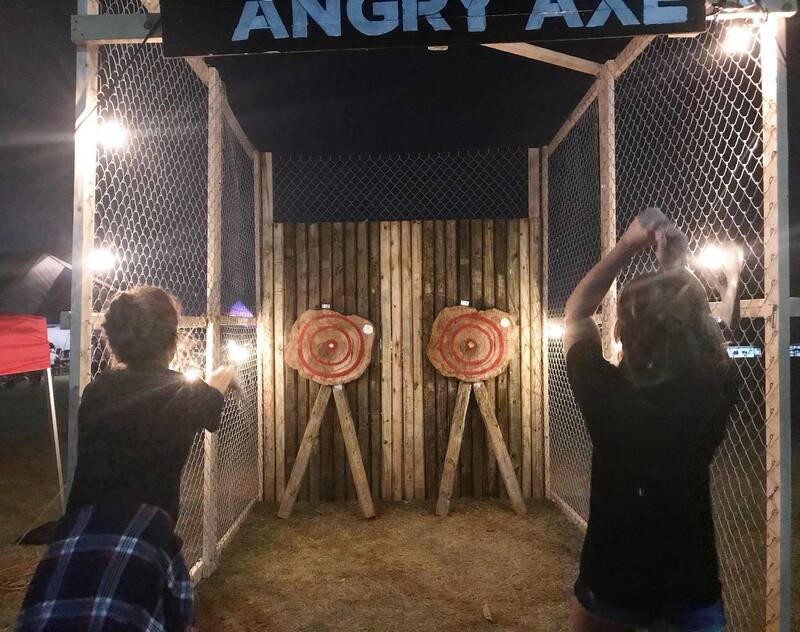 Rent a private lane for tournaments, competitions, trick shots or have a bullseye derby! Great for groups up to 12 people, any more and we recommend a private event to have the whole venue to yourself. Click a time above or Call 918-917-9015 to reserve your lane! Our building is on the north east corner of Admiral and Peoria. Parking is on the east side of the building in a gated lot. There are two entrances one on Admiral (right before you hit peoria traveling West) and one that is in the alley between Airgas and our building. Right before you hit Airgas traveling North on Peoria, turn down the alley and then our parking is in the back. 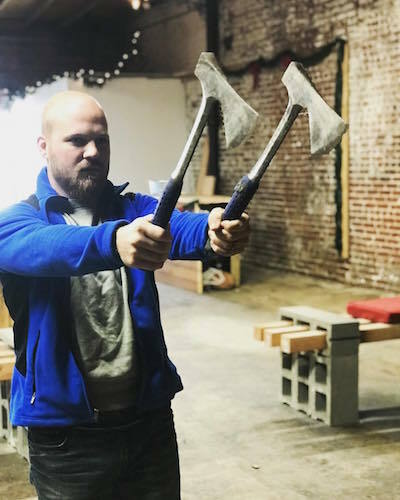 League night is all about having some fun and competition while fine tuning your axe wielding skills. This is your time to show off your best throws, make some new friends, and then demolish the competition. There will be nightly tournaments all leading up to the final Throw-Down that will crown the top chop of the season. You do not want to miss out on this! 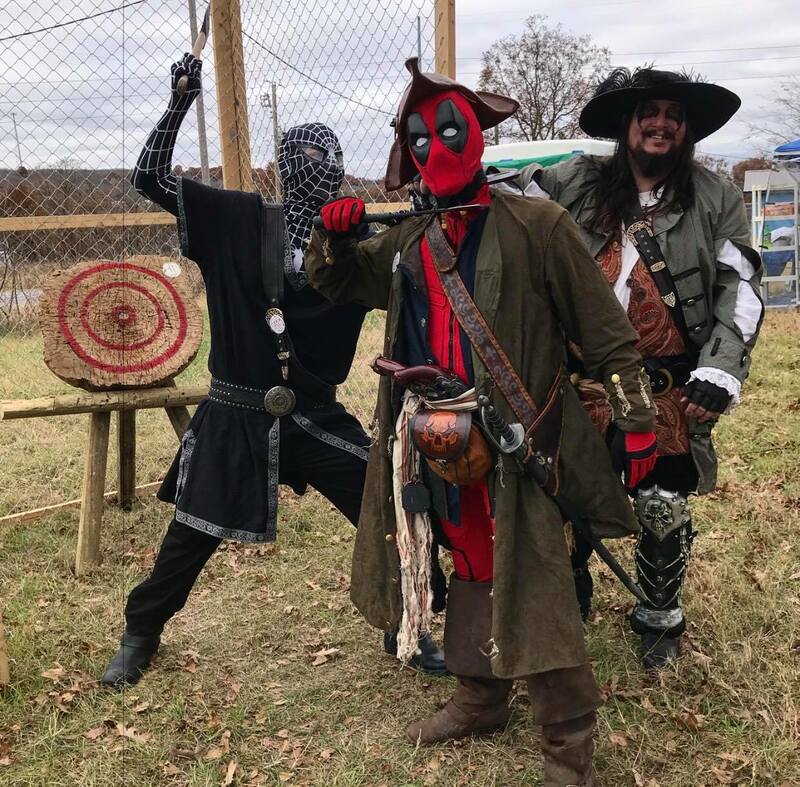 The perks of joining our league! 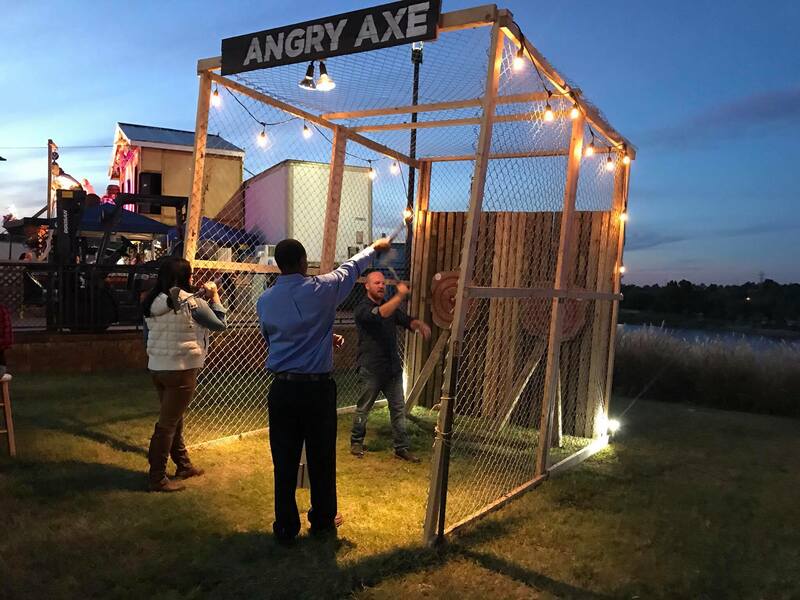 Let us bring the axe throwing to you with our mobile set up. Perfect for retreats, festivals, backyard parties, or corporate outings (so pretty much anything). 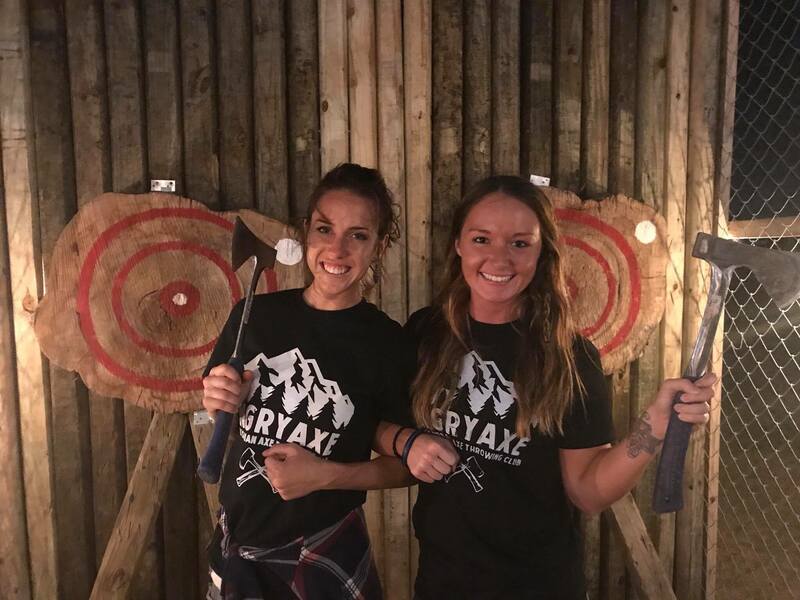 Nothing says a good time like axe throwing in your own place not to mention the props from all of your friends.